At Flaherty Physical Therapy, we wonder, how's Your Mojo? To us, Mojo is a feeling, a sensation of well-being, strength and stability. Mojo is the feeling you get when you are in the groove, everything is perfect, everything feels good, all is right, your stars are aligned. 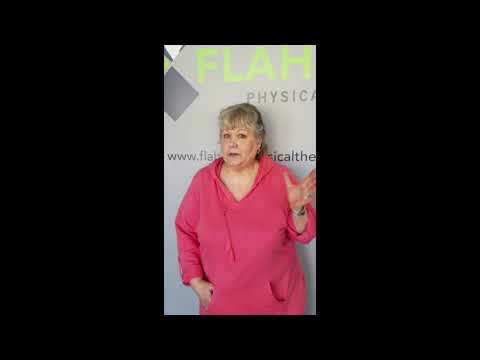 If you are coming to see us at Flaherty Physical Therapy, there's a good chance your Mojo is not where you want it. This is how we will help you get your Mojo back! My "mojo" is back on track! This is because of Kevin's sessions. I feel, after my right hip replacement in January, that under his care, I have made an excellent recovery. I have no hip pain and with Kevin's gentle instruction and his explanations of what muscles are working and healing, I feel helped me to heal faster. As Kevin has said, "Focus on following the exercises as directed daily and you will see and feel many gains." I found that my spirit is much happier and my life's pleasures have been greatly increased under Kevin's care. 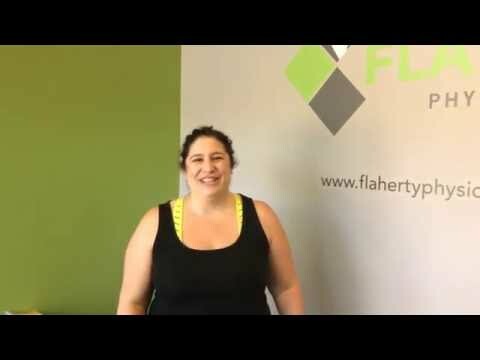 I had a terrific experience at Flaherty Physical Therapy. Before coming in I was a bit hesitant because all the other PT establishments I attended really didn't fix my issues. I am happy to say this PT fixed me completely. If I ever have any other issue, I know where to go. Everyone told me I would hate everything about PT. They said I would dread coming. They obviously did not come to Flaherty PT. Kevin and Alanna are awesome and I looked forward to coming each week. Would highly recommend. From the beginning of physical therapy until now, I feel amazing. Going through this process before, I knew the obstacles that were ahead of me, but with working with Kevin, I never had any doubts that I'd be back to 100 %. The work that we did together and the home workouts he gave me, they were just what I needed. I know that by following the regimen that's been given to me, my shoulder isn't going to give me any issues. I came in with some mojo and in a sling, but I now leave feeling truly great and with some more Mojo! Thank you Kevin and Alanna for everything. When our son, Zack, needed a physical therapist to rehab from labrum surgery, a friend recommended Kevin Flaherty. We were pleased with how quickly Kevin was able to evaluate and develop a personalized plan for Zack. Although Kevin proved to be an excellent physical therapist, we were most impressed with how he helped Zack approach the mental challenges of recovering from his first major sports injury. He was constantly checking with him and motivating him to ensure that he maintained a positive attitude throughout the long rehab process. We believe that Kevin was instrumental with Zack's successfully recovery which has allowed him to play baseball at Union College. My son has had two unfortunate sport injuries that have required physical therapy treatment. Kevin Flaherty came very highly recommended to us. We found that Kevin treated us professionally and displayed a wonderful knowledge of the injuries and an appropriate course of treatment that was age appropriate. Kevin went above and beyond providing us with take home exercises and routines as well as emailing us between sessions with further exercises and plan of care. When my son had his second injury there was no doubt in my mind whom we would seek for treatment. I highly recommend Kevin Flaherty to anyone for all necessary physical therapy treatments. When you have a family that is active and competes in athletics, sooner or later an injury will happen. It is inevitable. When it does happen, it is so critical that the treatment to help recover from injuries be delivered by a professional that you can trust. 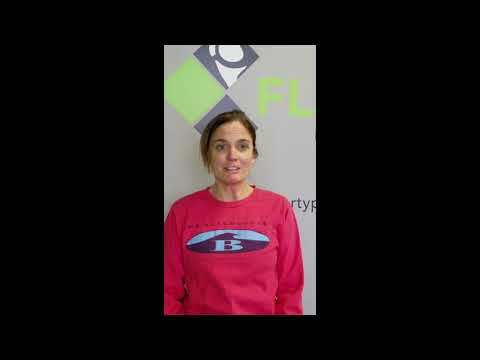 Over the past 3 years our family of four has each had the need for physical therapy services. Kevin Flaherty has treated us for shoulder, elbow, knee and ankle injuries. He is one of the best therapists who has ever treated any of us. He is extremely knowledgeable about various injuries and appropriate treatment options, works collaboratively with your physician(s), has a way of putting people at ease with his humor, and is always willing to go the extra mile. 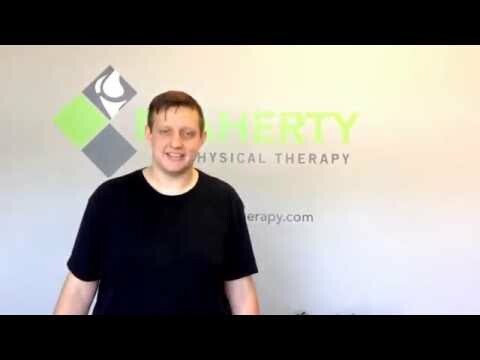 As a family we would highly recommend Kevin Flaherty for anyone who has any physical therapy needs. On July 20, 2013, I was playing basketball and ruptured my patellar tendon in my left knee. I had successful surgery to repair it on July 30, 2013. The surgeon gave me a timeline of 8-10 weeks in a brace, and 12-18 months to be back to my normal activities. After three weeks of rest, I began physical therapy with Kevin Flaherty. My sessions were one hour long and two times per week. They started on August 21st and continued through the end of October 2013. Before starting P/T, Kevin took time to explain the process of rehabilitating my knee, including exercises and treatments. When we began, I was very nervous and unsure of how my knee and tendon would respond to the exercises & movements he described. I quickly realized he was very much aware of the thresholds I could tolerate. Kevin did a great job listening to my input and reaction to the movements and exercises I performed. He also made sure he explained things thoroughly which really put me at ease and gave me the confidence to trust him and trust that the repair was healed strong enough to handle the exercises. I fortunately haven't had the opportunity to need physical therapy, but my son and daughter have. My son had a very painful issue with his ankles called Sever's disease, which is an inflammation of the growth plate in the heel, and my daughter with a fractured wrist. From day 1, Kevin took the time to explain to them the process of physical therapy and how important it was to their recovery. He was very detail-oriented during their sessions, taking the time to explain everything to them as they went along to ease any anxiety they may have had. He taught them the proper exercises for them to do on their own at home and in a fun way; but most importantly, he made sure at each session they were progressing on their road to recovery. Whether young or old, or somewhere in between, I would highly recommend Kevin for your physical therapy needs. I had the pleasure of working with Kevin Flaherty for physical therapy on a third degree ankle sprain my senior year at Shrewsbury High School. I injured my ankle at the end of volleyball season and Kevin was able to strengthen my ankle in time for basketball season. He taught me the correct exercises to keep my ankle strong throughout my senior year basketball season and these exercises continue to help as I launch my college career at Stonehill College. Kevin was very knowledgeable, positive and confident in my speedy recovery. Our philosophy on restoring your Mojo is simple.